When it comes to freedom of speech, America stands tall, and very nearly alone. Instances where freedom of speech is threatened in this country serve only to illustrate the point. When cybercriminals of disputed provenance cowed Sony Pictures into pulling The Interview last year, the public reaction was so strong that the movie was reinstated. The Alamo Drafthouse Cinema near my hometown sold cheeseburgers and apple pie during its four Christmas Day showings. All four were sold out. Free speech does not enjoy such popular support elsewhere, a hard reality underscored by the hail of bullets directed at French satire publication Charlie Hebdo last week. The bullets were intended to silence outspoken critics of Islam. They served their grisly purpose in 12 cases and counting. 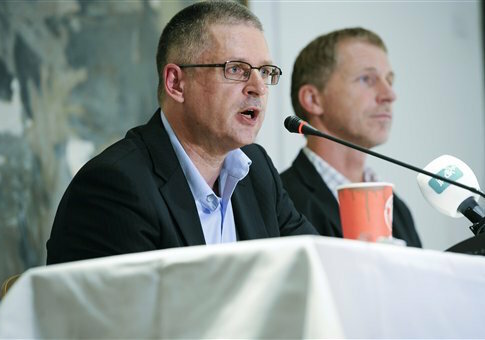 But terrorists have not yet managed to silence Danish journalist Flemming Rose, although they would sorely like to. Rose’s vigorous defense of free speech, The Tyranny of Silence, has recently been translated into English from the original Danish. When reached for comment on the Paris attacks, Rose told the Washington Free Beacon that "Charlie Hebdo was the only European paper that hadn't internalized the fatwa against Salman Rushdie. Since 2008 it has been the only paper that continued to insist on their right to do religious satire. Frankly, my book and its thesis has become more urgent than ever. The people behind the mass murder in Paris want to impose a global blasphemy law to protect their religion against criticism, the want to establish a tyranny of silence…"
"The lesson for us: if you give in to intimidation, you will not get less but more of it because you show the perpetrators that it works." When Rose became culture editor of the Danish newspaper Jyllands-Posten in 2004, Denmark, like many European countries with a sizeable Muslim immigrant population, was grappling with difficult questions about "the interface between Islam and the West in the wake of 9/11." The closed culture demanded by Islam’s stricter interpretations threatened Europe’s open society, and Rose noticed an unnerving trend of self-censorship on the part of those looking to avoid running afoul of Muslims. These were not cases where individuals tempered their speech out of courtesy for others’ deeply held beliefs. Rather, writers were being scared into silence by the implicit threat of violence. Rose cites many examples. A publishing house had difficulty finding an illustrator to draw Muhammad for a children’s book, for fear of being targeted by extremists who believe non-Muslims must obey Islamic scriptural prohibitions on visual depictions of the prophet. What’s more, the usual creed of the postmodern artist and entertainer—ridicule all but liberal sensibilities—was not being equally applied when it came to Islam. Rose cites Danish comedian Frank Hvam, who is no stranger to provocation: "I realized that I wouldn’t have the guts to mock the Koran on television," Hvam said. The gutsy few were paying a high price for their outspokenness, as in Paris this week. Dutch filmmaker Theo van Gogh was shot to death in 2004 by an Islamic extremist for his short film about violence against women in Islamic societies. Van Gogh’s last feature-length film had been about Pim Fortuyn, a populist Danish politician who was himself assassinated for speaking ill of Islam. The Wednesday murders of Stéphane Charbonnier, his staff, and his protectors are just the latest installments in a decades-long trend. In 2005, Rose extended an invitation to Danish cartoonists to "draw Muhammad as you see him." Jyllands-Posten published 12 responses, which had dramatically different messages. 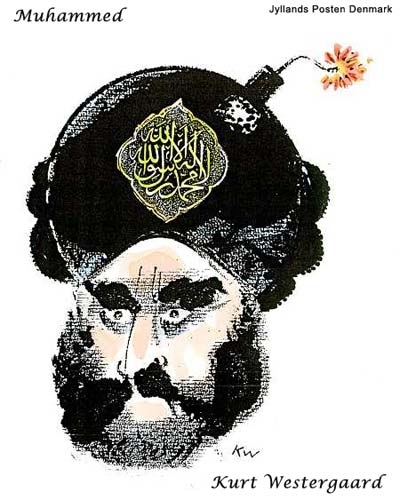 The most famous cartoon, drawn by Kurt Westergaard, depicted Muhammad with a bomb in his turban; others portrayed him in a positive light; one did not portray the prophet at all, but rather a Danish immigrant named Muhammad. Nevertheless, denouncement of the cartoons in the Middle East by "activist imams with an agenda (and some false cartoons)," precipitated an incendiary controversy with a slow-burning fuse. Rioting in the Muslim world, which occurred intermittently for several years after the cartoons’ publication, led to upwards of 200 deaths and several torched Danish embassies. Terror plots against Jyllands-Posten and Rose were thwarted by Danish and American law enforcement. One attack nearly claimed a victim: In 2010, a hatchet-wielding Somali with ties to al-Shabaab was gunned down by police after breaking into Westergaard’s home. Westergaard survived by locking himself in a safe room. To some, Jyllands-Posten and Rose were to blame for the whole bloody mess. They were lambasted as provocateurs and Islamophobes; Jyllands-Posten was compared to Der Stürmer, a Nazi publication that printed virulently racist cartoons about Jews. The Muhammad cartoons were widely reported to have "incited" rioting and violence, a charge Rose equates to victim-blaming—"it amounts to giving people who feel like reacting with violence a free hand to decide whether a speech incites terror." While Islamic extremists thought the cartoons impermissible because they violated Islamic law, other Islamic religious leaders conjured secular grounds for opposition. They rallied around the argument that freedom of speech does not include the freedom to offend. Not surprisingly, this risible argument was made following the massacre at Charlie Hebdo. In the last decade, the main proponent of this argument has been the Organization of Islamic Cooperation (OIC), which represents 57 states as "the collective voice of the Muslim world." The OIC has written in reference to the cartoons that "the right to ‘freedom of expression’ continued to be used as a guise for the vilification of Islam." In the same document, the OIC recommended that governing authorities "disallow" defamation of religion, an action Rose writes would "criminalize religious satire, including cartoons of the Muslim prophet." Predictably, the United Nations Human Rights Council (UNHRC) has backed this line of thinking as well. In 2006, the UNHRC championed a resolution condemning religious defamation that passed the General Assembly but was spiked by the Security Council. Russia and China were the only two Security Council members to vote in favor, a fact that doesn’t recommend the resolution to freedom-loving people. Granting exceptions to free speech for "defamation," Rose writes, is to turn the very notion of free speech on its head. "The grievance lobby has succeeded in shifting the fulcrum of the human rights debate from freedom of speech to the necessity of countering hate speech," Rose writes, "from the individual pursuing individual liberties to the individual aggrieved by the liberties taken by others." According to Rose, the Cartoon Controversy casts in stark relief the differences between free societies (with the United States as exemplar) and "fear societies," where the threat of violence hangs over the public square like a suffocating cloud. The task of free people today, he says, is to stick up for free speech at home and to support dissidents in countries where oppression reigns. This was the policy pursued, albeit inconsistently, by the United States against the Soviet Union. For a 200-page book, The Tyranny of Silence contains a wealth of varied and fascinating information. The main story, of course, is the original cartoon crisis itself, which is relayed in minute detail. Befitting his journalistic background, Rose interviewed everyone involved, from Westergaard to one of the men (now in custody) who sought to kill him. Some of the more interesting interviews are with individuals fighting for free speech across the globe: ex-Muslim feminist Ayaan Hirsi Ali, for example, and the Russian dissident Natan Sharansky. The book is part biography, part history lesson, and part manifesto, weaving abruptly from reportage and interviews to theoretical and historical inquiries into the issue of free expression. While a journalist may have been tempted to stick to the facts of the immediate controversy, Rose goes as far back as the Protestant Reformation and as far afield as Russia to make the case for inviolable free speech. The book’s breadth leads at times to jarring transitions as the reader is hustled from topic to topic, but the journey is worth the jostling. As an account of the controversy that turned little Denmark into a target for international terrorism, The Tyranny of Silence is timely and definitive. As an apologia for free speech, it is impressive. While most American readers will have heard the arguments before—Rose admits that, "in many ways, there is nothing to add to the discourse on liberty"—the historical research and reporting Rose carried out for this volume ensures that it is still worth a read. Pair with apple pie.